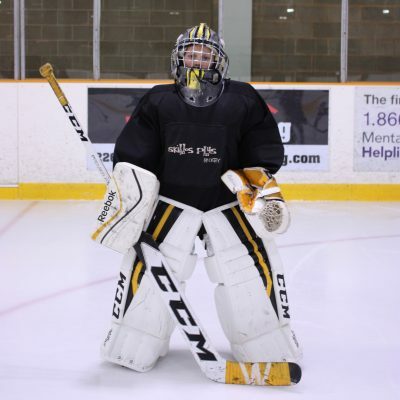 Openings available…3 spots for goalies! This program is a high-tempo workout designed to help rep players train the skills and tactics needed to prepare their game for tryouts. The ice times consists of 50 minutes of skills training each day followed by a 30-minute scrimmage on the Tuesday and Thursday ice times. Day 4 – Competition battling and Favourite Drills. The training program is at the Albert McCormick Arena in Waterloo.